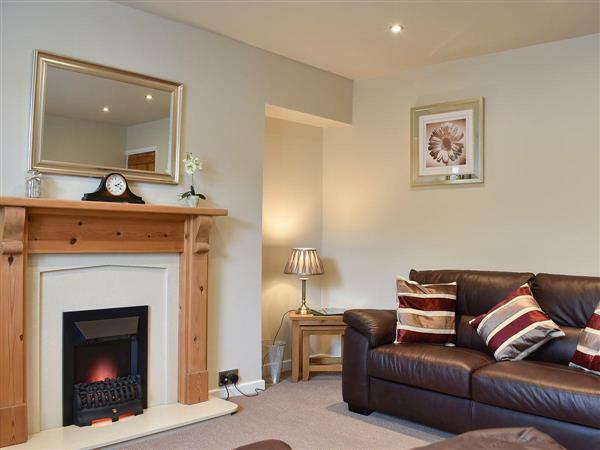 Wetherfell Cottage in Bainbridge Ings, near Hawes, Yorkshire sleeps 5 people. Wetherfell Cottage near Hawes is a semi-detached cottage which sits in a commanding position from which to enjoy the surrounding views of Wensleydale, with its namesake Wether Fell in the background. 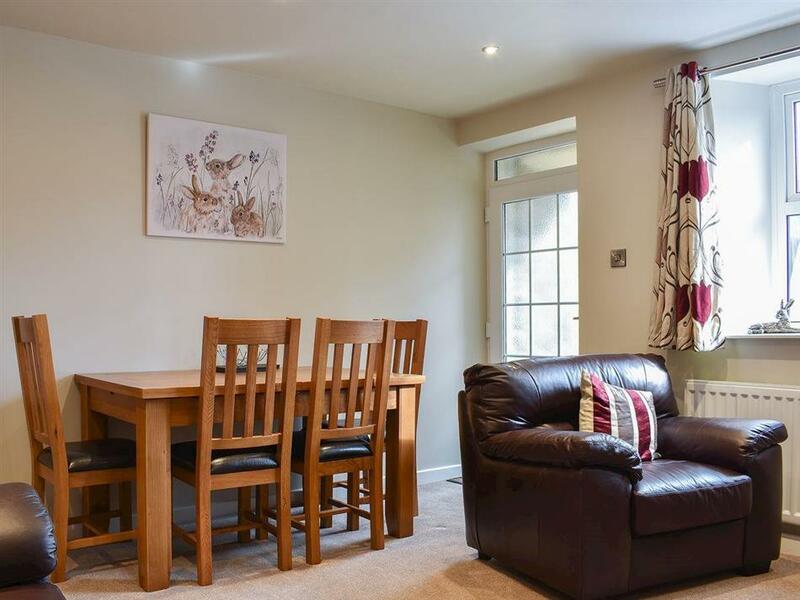 Tastefully decorated, this comfortable and cosy cottage provides a wonderful base for all age groups. The property has been restored to a very good standard, offering home from home comfort, with beautiful bedrooms with window seats from which you can sit and enjoy the views. It has the added bonus of a hot tub on the rear patio, providing a great place to relax and unwind after a day of exploring. Bainbridge Ings is only ½ mile from the Pennine Way, and a perfect starting point for guests wishing to enjoy walking, cycling, exploring the numerous nearby attractions or simply strolling in the countryside enjoying a relaxing break. The quaint market town of Hawes is just a 10-minute walk away and has an exciting array of shops, cafés, restaurants and pubs. On a Tuesday, it hosts a weekly market with its buzzing atmosphere and local produce. The famous Wensleydale Creamery can also be found here. This is an ideal location for guests looking to explore local attractions, ride on the Wensleydale railway, or visit Castle Bolton, Constable Burton Hall and Gardens and beautiful Aysgarth Falls. There is simply something here for everyone. The shop, pub and restaurant is 1 mile from Wetherfell Cottage near Hawes. Living/dining room: With electric coal-effect fire, 42 Freeview TV and DVD player. Bedroom 1: With king-size bed and 2ft 6in single bed. Oil central heating, electricity, bed linen, towels and Wi-Fi included. Travel cot, highchair and stairgate available on request. Welcome pack. Laundry room with washing machine and tumble dryer (shared). Small enclosed patio with bench. Hot tub for 6 (private). Private parking for 2 cars. No smoking. Holidays at Wetherfell Cottage run from Friday to Friday. For a better idea of where Wetherfell Cottage is, you can see Wetherfell Cottage on the map below. Wetherfell Cottage is in North Yorkshire; should you be on the lookout for a special offer, you can find all the special offers in North Yorkshire. It's always worth checking to see what is on offer at the moment. Do you want to holiday near Wetherfell Cottage (UK2452), you can see other cottages within 25 miles of Wetherfell Cottage; have a look to find your perfect holiday location.